With the start of the new term, getting back to a good bedtime routine is a must if you don’t want your children to get tired and irritable. So how can you encourage them to go to bed without having a major battle on your hands? 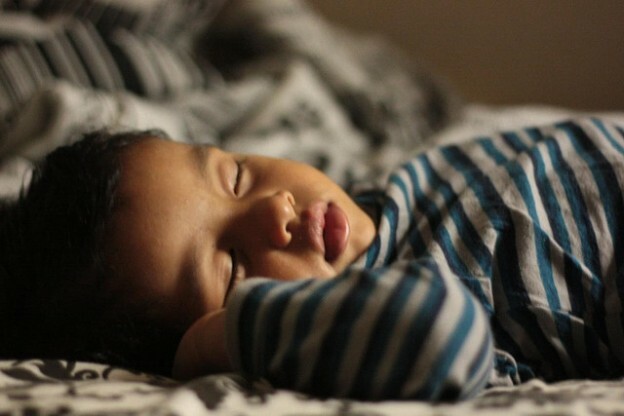 These five tips will help you towards trouble-free bedtimes. Once your children are used to going to bed at a regular time, they are less likely to act up when you announce that it’s time for bed. Make sure they know exactly what time they are expected to start getting ready. Even young children can get the hang of this; put a small sticky note or blob of plasticine on the clock face, and tell them ‘When the big hand reaches here, it will be time to get ready for bed’. When the moment arrives, resist all cries of ‘Just five more minutes…’, and usher them firmly towards the bathroom! This entry was posted in Families and Parenting, Parenting matters, Parenting tips and tagged bedtime, bedtime routine, bedtime tips, family life, family living, parenting, parenting tips on 4th September 2013 by emanneh.